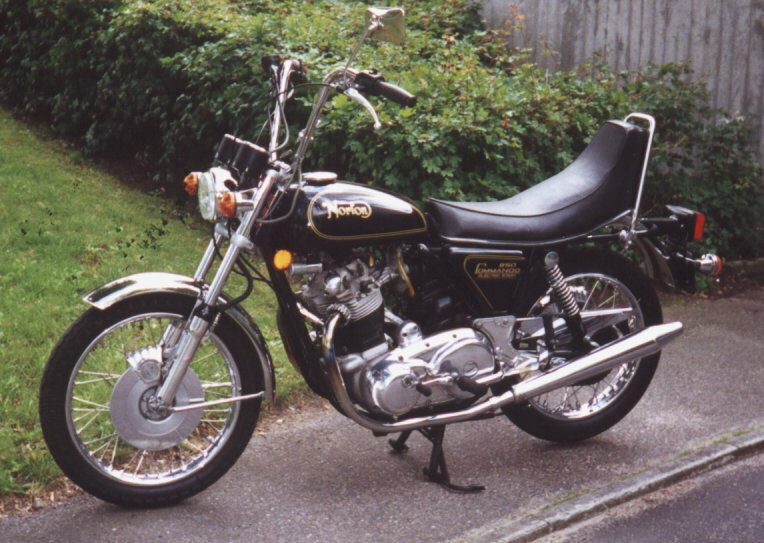 It's news to us that they built 850 Mk3s as Hi-Riders. Roy Bacon's book is not specific on the cut-off date, and it doesn't appear on the "Triumph with Norton - the power choice" poster from 1975. But Anders assures us that this is a genuine US spec. machine from 1975. Anyone know any different? Not sure about the gold pin stripes though; we think it would look better with the "flat" colour scheme of the earlier models.